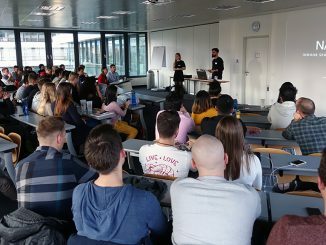 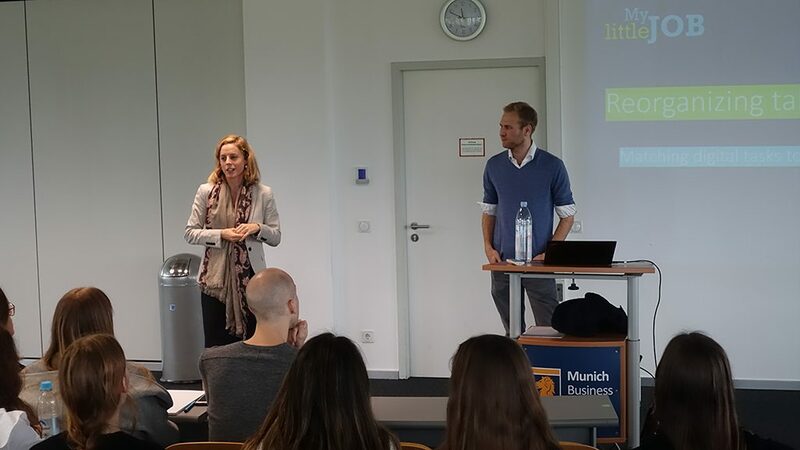 Just yesterday, Daniel Barke, MBS Bachelor International Business alumnus and co-founder/CEO of Mylittlejob, returned to his alma mater to share his insights and experiences as a company founder with current Bachelor students. 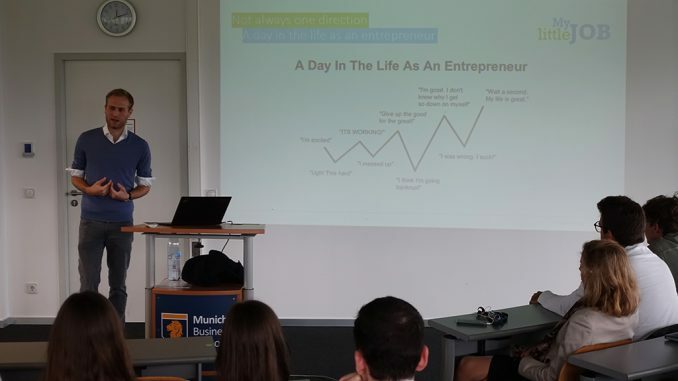 To start his presentation, Daniel outlined the business model of Mylittlejob, an online matching service that connects companies and university students based on tasks. 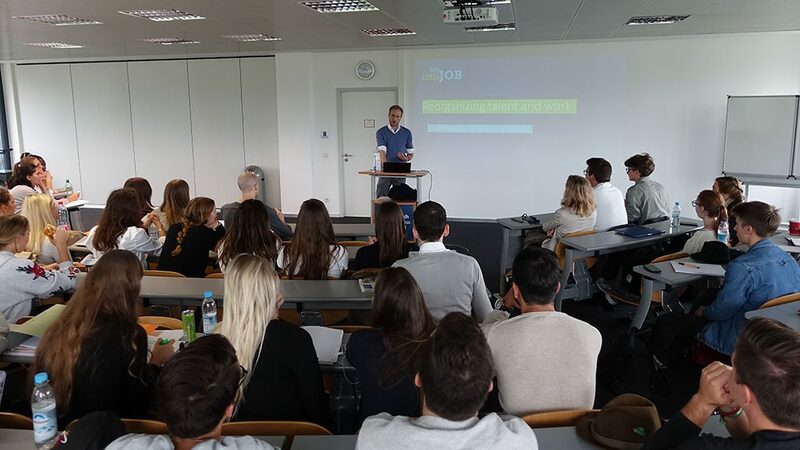 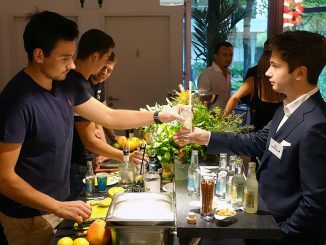 He eventuelly provided the students with valuable insights into his learnings and failures during his entrepreneurial journey that has – as of now – led him to being the CEO of a successful and ever-growing start-up with 30 employees and offices in Hamburg and New York.